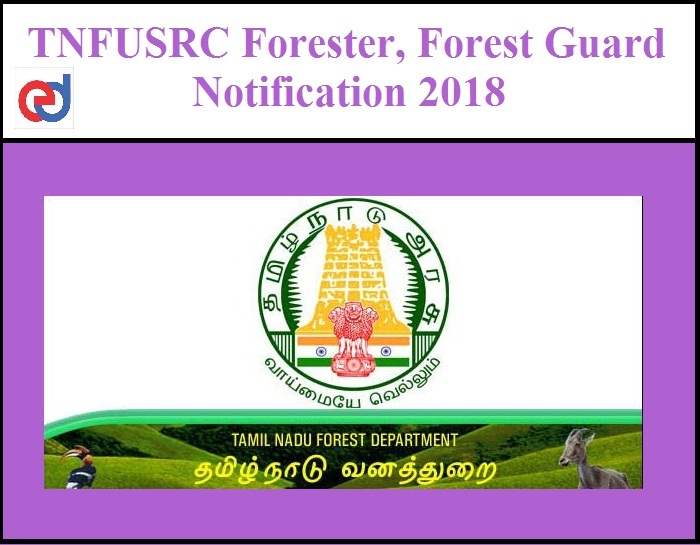 Tamil Nadu Forest Uniformed Services Recruitment Committee (TNFUSRC) has released Notification for 1178 Forester, Forest Guard and Forest Guard with Driving Licence Post. Applications are invited from interested ans eligible candidates. Candidates can apply through online from 15.10.2018 10 AM to 05.11.2018 5PM. For Forester Guard and forest guard with license Post: Candidates from the general category should be between 21 to 30 years of age as on 01-07-2018. Candidates from the SC, ST, MBC, BCM can avail age relaxation and hence should be between 21 to 35 years. For ex-servicemen it is between 21 to 35 years (after deducting the period of his service in such service). For Forester Post: Candidates must hold a Bachelors’ Degree in Science or Engineering of any recognized University with any one of the following subjects : 1) Agriculture 2) Animal Husbandry 3) Botany 4) Chemistry 5) Computer Applications / Computer Science 6) Engineering (All Engineering subjects including Agricultural Engineering) 7) Environmental Science 8) Forestry 9) Geology 10) Horticulture 11) Marine Biology 12) Mathematics 13) Physics 14) Statistics 15) Veterinary Science 16) Wildlife Biology 17) Zoology. 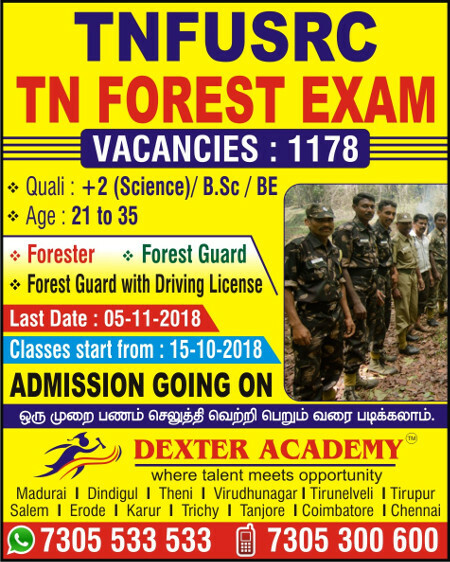 For Forester Guard Post : A pass in Higher Secondary Course with Physics, Chemistry, Biology, Zoology or Botany as one of the subjects. 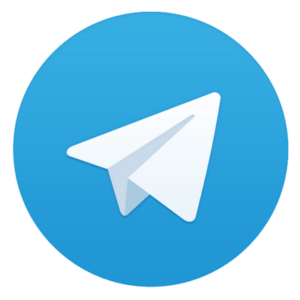 For forest guard with license Post: A pass in Higher Secondary Course (Plus Two) with Physics, Chemistry, Biology, Zoology or Botany as one of the subjects. In addition they must possess a valid Driving licence issued by the competent Transport Authority. Selection Process: Candidates selection will be made by Online Examination for the Direct Recruitment of the above post vacancies. How to Apply: Candidates can apply through online by official website www.forests.tn.gov.in from 15.10.2018 10 AM to 05.11.2018 5PM. is this exam can be applied only,from natives of tamilnadu?,i am an engg graduate from kerala ,can i apply? am completed pg bsc IT but 12th i completed only computer science,physics,chemistry can i apply this? 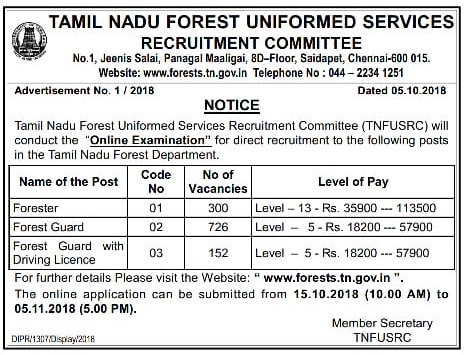 is pondicherrian eligible to apply for the forester post…?? ?